I may have been a bit premature when I complained about previous episodes of Nintendo Download this month. Though they may have been a bit lacking, Nintendo more than made up for it with a totally jam packed Nintendo Download this week. Hope you’ve been saving up some money, cause I guarantee there’s something for everyone this time. That’s enough preface, let’s get started! Let’s start this week with a HADOKEN! The classic Street Fighter series is getting a huge mash-up with Street Fighter 30th Anniversary Collection. 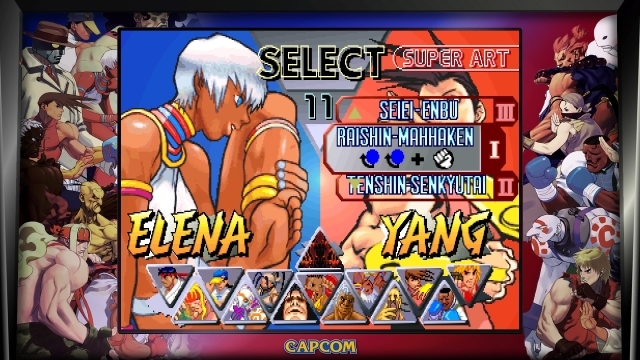 This features a bunch of classic games – Street Fighter I, Street Fighter II, Street Fighter III and the Street Fighter Alpha series. This latest and greatest repackaging is going to be available May 29th for fans, so be ready for it next week if you want to rumble. 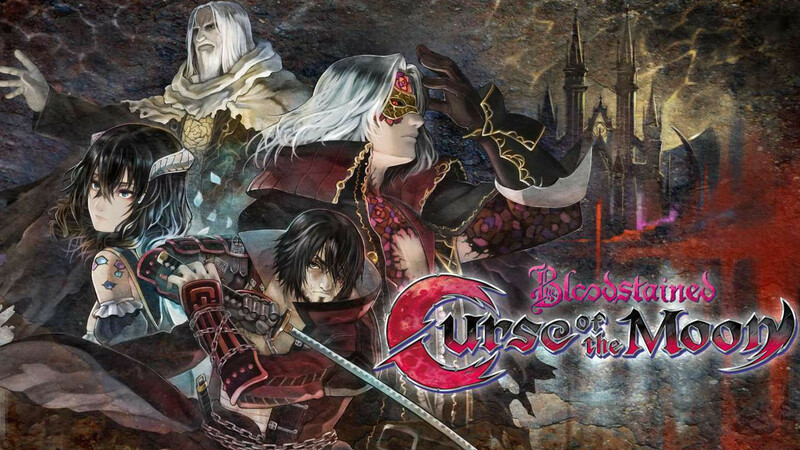 Next up, if you have been hankering for old school Castlevania inspired gaming, you’re in luck with Bloodstained: Curse of the Moon. No, it’s not the Bloodstained us fans have been waiting eagerly for, but it’s a step in the right direction. This retro love letter is available on Switch and Steam now, but it’s coming to practically every console under the sun eventually. If you want to know more about the game, stay tuned in the coming weeks for our official review. But perhaps you’re more of a SHMUP fan? Well, then you can play a true classic in Ikaruga, which will also launch alongside Street Fighter next week for the Nintendo Switch. Normally I would segue into another section here, but there’s still more stuff to cover! There are a couple of great looking demos you can download today. 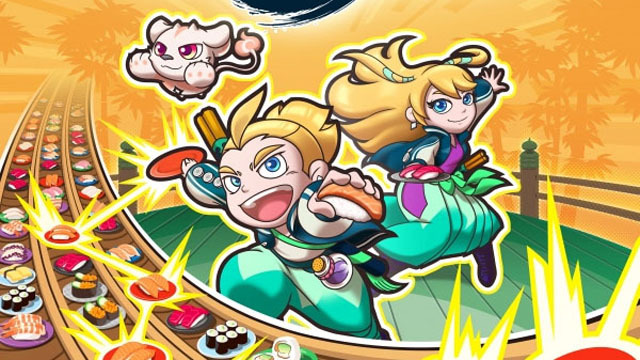 If you love crazy premises and puzzle matching games, you might enjoy Sushi Striker: The Way of Sushido on your 3DS (though it’s also coming to Switch with a demo). If you are feeling more like rolling around causing destruction, you can download the 3DS demo of Dillon’s Dead-Heat Breakers! Whew, that’s a lot of intro. Let’s jump to another topic now. If you’ve been enjoying Xenoblade Chronicles 2, starting this evening you’ll have even more to appreciate. New DLC is releasing for owners of the Xenoblade Chronicles 2 game and the Expansion Pass. Buy the Expansion Pass to gain access to titanic new content, including the pack below and a new story this fall. To learn more, visit the Xenoblade Chronicles 2 site. Next up, it wouldn’t be a truly exciting Download without some sales! There’s a few worth mentioning this week. 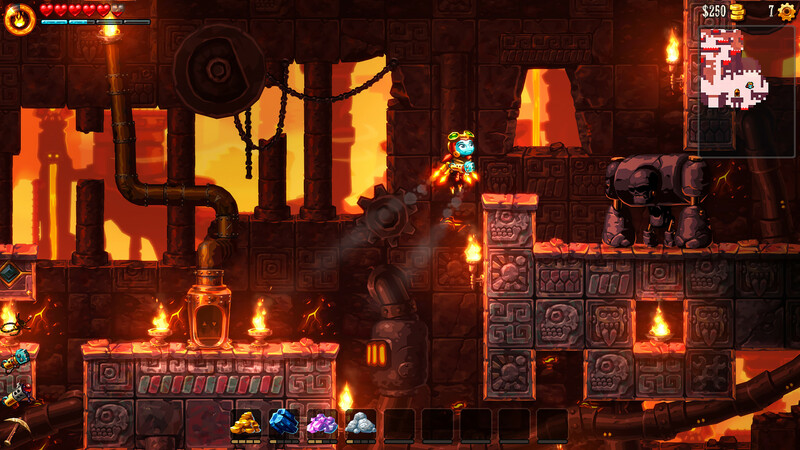 If you like robots with some yeehaw, you should check out SteamWorld Dig 2 (3DS) for $13.39; if you love crazy SHMUPs with some replay value, Aqua Kitty UDX (Switch) is a bargain at $4.49; if you love dancing with death, Crypt of the NecroDancer (3DS and Switch) is down to $14.99; if you like playing games in sequence, you can’t play SteamWorld Dig 2 without trying out the original SteamWorld Dig (Switch), now for $7.49; or if heists are more your speed, you should check out SteamWorld Heist (Switch) for $14.99; if you love simple Scrabble inspired games, you might enjoy Letter Quest Remastered (Switch) for the low price of $4.07; for fans of Viking mayhem, Wulverblade (Switch) might be your style, especially for $13.39; for fans of Metroidvanias, you owe it to yourself to check out Axiom Verge (Switch) for $16.99; or for a more eclectic option, I suggest trying forma.8 (Switch) for $6.49 (also on Wii U for $1.99) and for puzzles with friends, you will love Death Squared (Switch) for $10.04. There’s actually a lot more you can check out, with the full list here. If you’re as intrigued by Nintendo Labo as I am, you’ll be interested to see the results of the Nintendo Labo Contest tomorrow. Full details below. Finally, we’ll close out like usual with the latest digital releases. 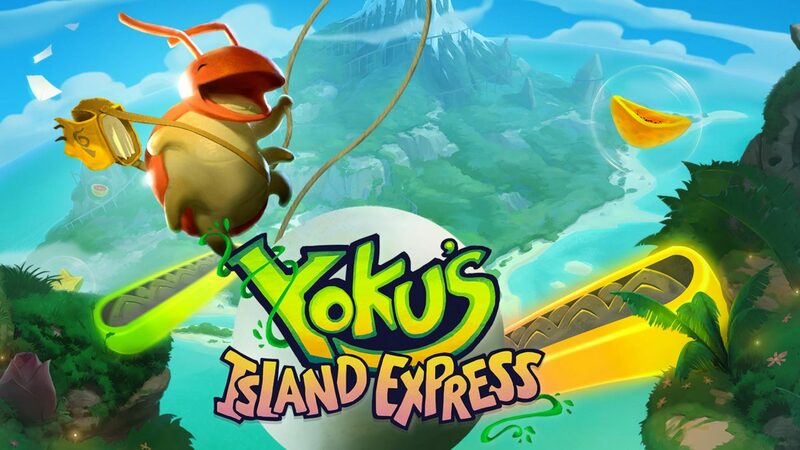 The following are out next week – Die For Valhalla!, Fallen Legion: Rise to Glory, Harvest Moon: Light of Hope Special Edition, Knights of Pen and Paper +1 Deluxier Edition, Legend of Kay Anniversary and Yoku’s Island Express. The rest of these are out either today or tomorrow. If you love retro, Arcade Archives has you covered with Ikki. If you love games to unwind with, you might enjoy 6180 the moon, ATOMINE or Zen Bound 2. 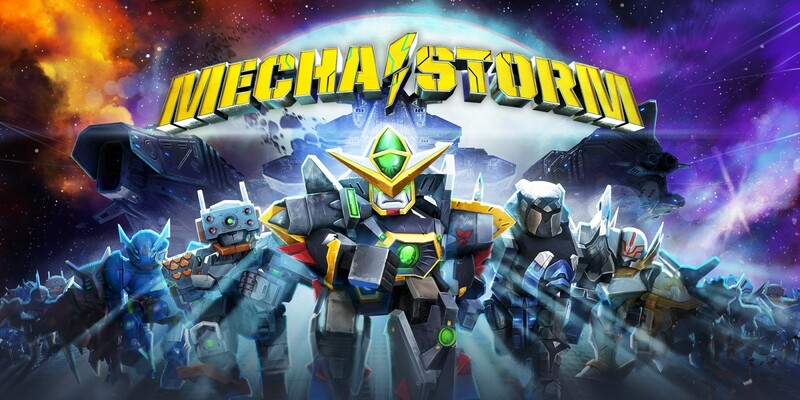 If you like fast and furious adventures, you might enjoy Mecha Storm or N++. For fans of tower defense, PixelJunk Monsters 2 has your back. Old school hard is still alive and well in Punch Club and Dungeon Rushers. Fans of the utterly absurd can rejoice in Dead Fun Pack: Penguins and Aliens Strike Again and Baobabs Mausoleum Ep 1: Ovnifagos Don’t Eat Flamingos (easily the weirdest title I’ve seen in years). And lastly, if you want any excuse to keep your Wii U alive, you should check out Cycle of Eternity: Space Anomaly. Wow, what a crazy week for the Nintendo Download! I fear next week will pale in comparison, but that’s okay, since most of us will still be playing the games released this week. Tune into oprainfall next time for the latest Download, and stay tuned for our upcoming reviews of Nintendo games.